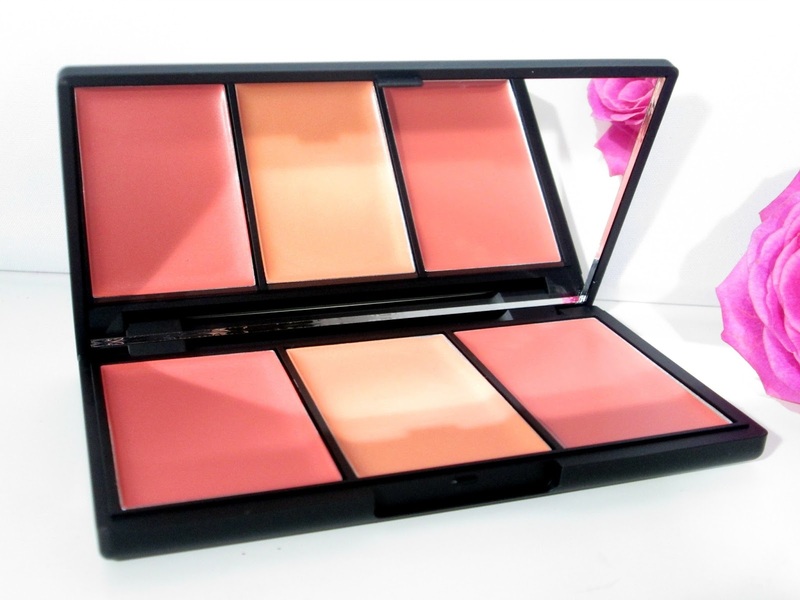 With Summer fast approaching I think its the perfect time to switch things up in my makeup bag and introduce more cream based products and of course get some beautiful coral shades in there too, and the perfect place to start is Blusher, so say hello to the gorgeous Californ.I.A Blush By 3 Palette*. 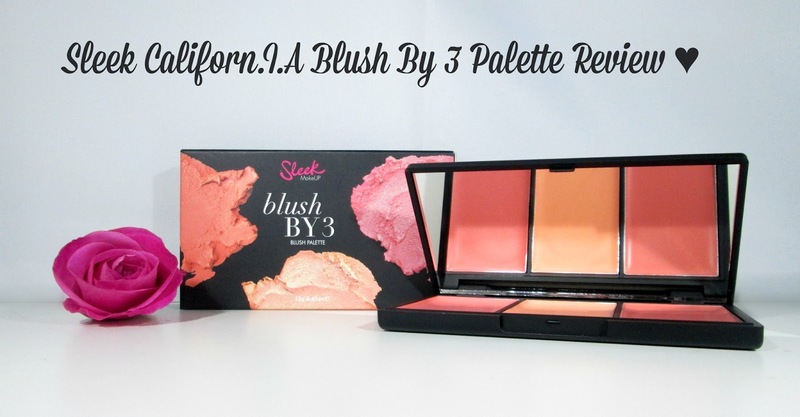 The Sleek Makeup Californ.I.A Blush by 3 Palette is one of two new blush trio compacts that launched this Spring from our friends at Sleek, bringing the current Blush By 3 total to 8 gorgeous palettes (that's a heck of alot of blushes he he). 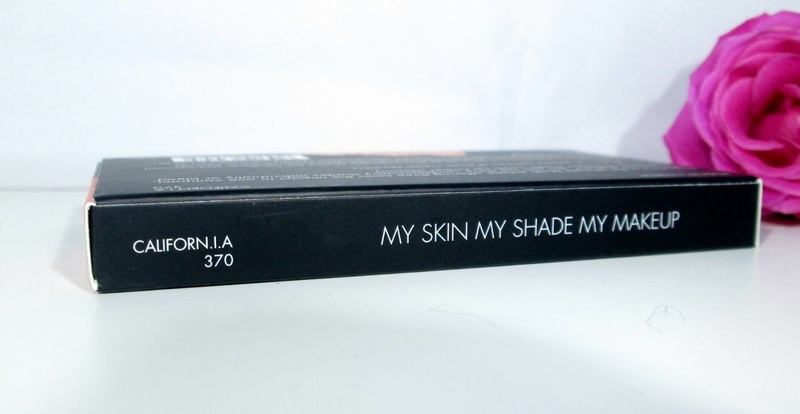 The Californ.I.A Palette which I'm reviewing for you all today contains 3 gorgeous peachy/coral toned, cream blushes which are all inspired by all things California! Think, the sun, beaches, surf life, the heat, arhhh it just makes me feel all warm thinking about it! Firstly I'm just going to jump right in and say I love this palette, it's just absolutely stunning! Like I said before all the of the three blushers in the Californ.I.A palette are cream in formula and have such a soft, creamy texture which allows them to blend out an absolute dream, I like to use my finger to pick up my chosen blush (my finger literally melts into the silky smooth blush arrhh) then pop the colour onto the apples of my cheeks so that I resemble a clown ha ha and I then take my Real Techniques Buffing brush to blend the blush all out onto my cheeks, I find that, that particular brush just seems to work amazingly with Sleeks cream blush offerings and blends effortlessly in seconds. As for the blushes pigmentation... It's great! They apply to the cheek the exact same shade as they look in the actual palette but blend out to a very subtle finish allowing you to build up as much colour to your cheeks as your heart desires, so if you want a natural look you can create that with ease or if your want something more vibrant you can achieve that with ease too. ♥ The Surf- A pale golden peach with lots of minute golden shimmers running through it. This shade works beautifully as a highlight shade, especially if your rocking a summer tan and had a luminous finish, it's so pretty and delicate. 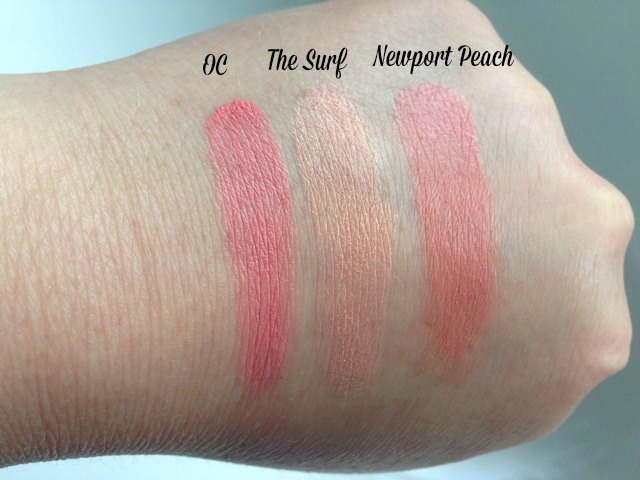 ♥ Newport Peach- A coral shade with abit more depth to it than the other two shades in the palette, I wouldnt say this shade is as luminous as they other two but it still looks beautifuly dewy and fresh on the cheeks. The lasting power of each blush is amazing, they last on my skin a good 7-8 hours without fading or moving and feel so lightweight, just like a second skin. The finish that all 3 blushes leaves is very much dewy, healthy and luminous, so if your looking for a cream to powder blush then these wont be for you, but if you want that healthy, sun kissed , holiday look for the summer then the Californ.I.A Palette will be right up your street. Overall I'm majorly impressed with Sleeks Californ.I.A Palette, your getting 3 amazingly pigmented cream blushes, which honestly replicate high end quality for the price of £9.99 which makes each blush come in at around £3.33 which is an absolute bargain in my opinion. 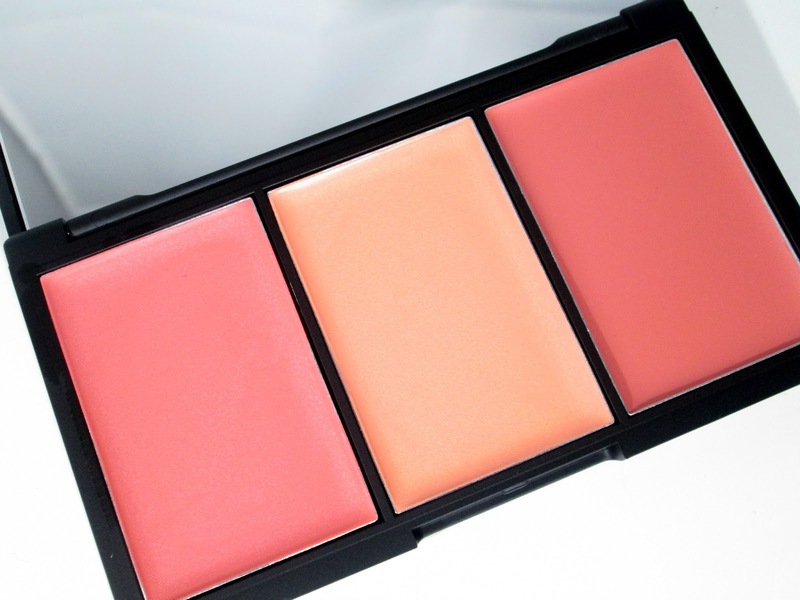 So girls, if your looking for some cream blushers for the Summer with peachy/coral tones this is the kiddo hehe! 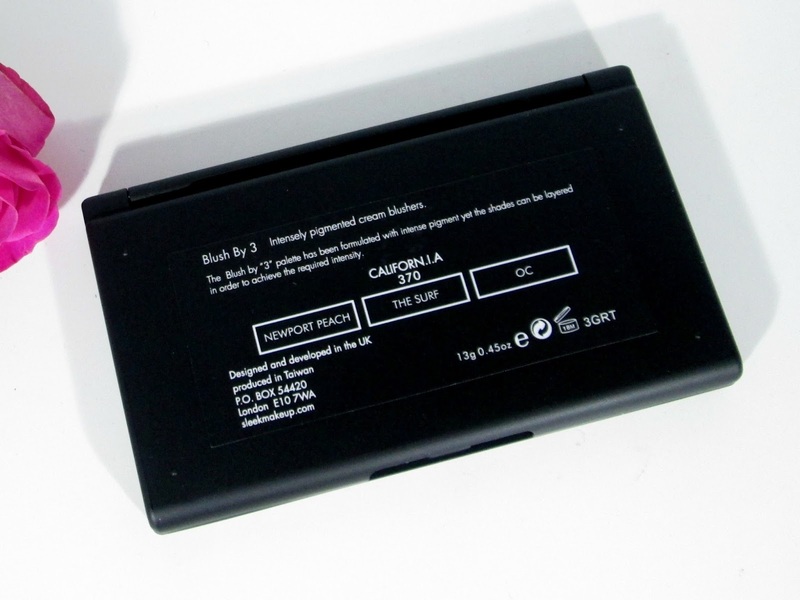 Have you tried the Californ.I.A Blush Palette before beaut's?? I'd love to know your thoughts on it! Oh wow the colours are beautiful! I have a couple of cheek palettes from Sleek, but I've never used Sleek blushers in a cream formula. I do love a good Sleek palette, they never seem to disappoint! I love this palette so much! Especially The Surf *sigh* it's just so pretty!